Susan Lantz-Dey joined the board of Southwest Youth and Family Services in 2011. Susan has worked in nonprofit human services across the country for 25 years. She has undergraduate degrees in Human Services and Education, and a Master’s degree in Speech-Language Pathology. Susan specialized in treating communication disorders affecting children and adults with developmental disabilities, and their families and caregivers. She brings to SWYFS a strong knowledge of child development, and the relationships between effective communication, education, and success in life. From experience, Susan understands the challenges of tight financial constraints on a nonprofit organization in the human services sector. 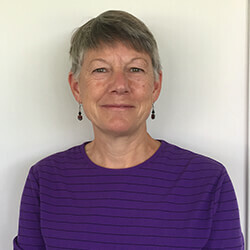 She has worked effectively with clients, families, organizations, and funding agencies to develop and deliver culturally relevant services to improve the lives of individuals and families. Susan believes that real progress comes from working on all levels as a team with common objectives.